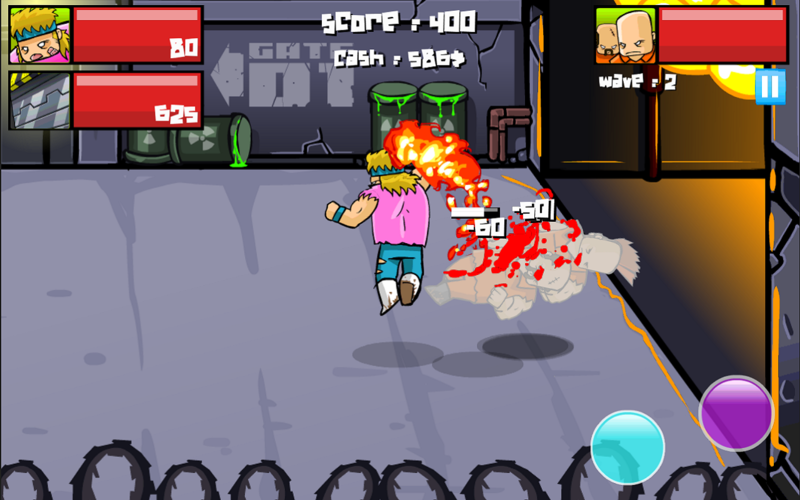 The 80’s are back in the future in this relentless Defense-Brawler mayhem!! 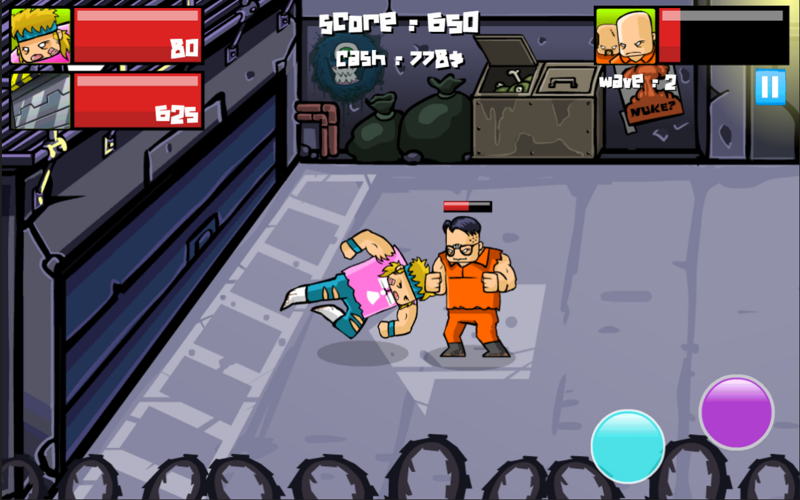 Keep prisoners from escaping their nuclear jail, collect their lunch money and use it to beef-up your defense and your fighting skills. Originally a game jam entry, we decided to improve the game a little and sell it on FGL. We didn’t won the game jam or anything, but hey, we had fun. 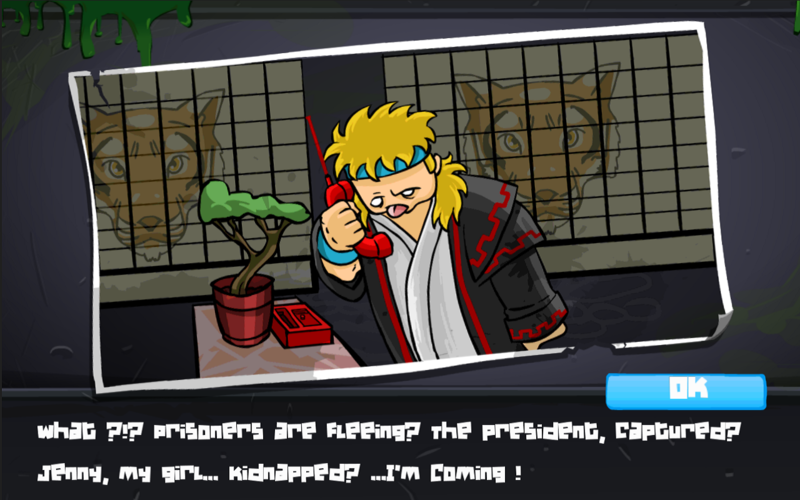 I love the hero of this game, and the fact that in the story, he has his karate suit, then prison’s guard suit which he destroy to reveal a pink cut-off. This guys is so intense that he’s always carrying 3 suits. There are currently no trailers available for Nuclear Justice 2084. Check back later for more or contact us for specific requests! 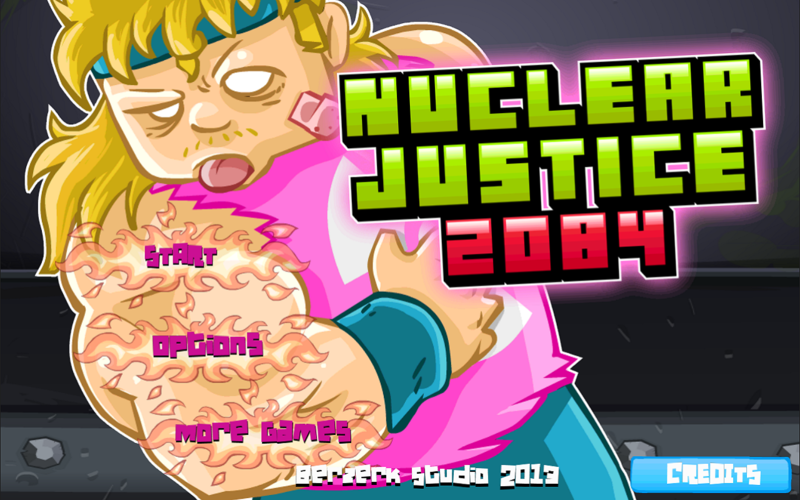 There are currently no gifs available for Nuclear Justice 2084. Check back later for more or contact us for specific requests! There are currently no logos or icons available for Nuclear Justice 2084. Check back later for more or contact us for specific requests!